This perfume is the first fragrance by Bottega Veneta and is presented in the limited edition Murano glass bottle, in collaboration with Coty Prestige in 2011. 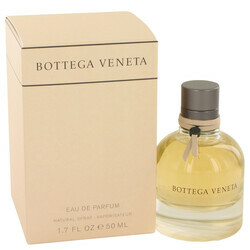 It enlivens the Bottega Veneta signature 'invisible, private luxury.' Michel Almairac blended Italian bergamot, Brazilian pink pepper, Indian Sambac jasmine, oak moss, patchouli, and Indian patchouli to produce this charismatic aroma.